As many IT professionals know, on-boarding and off-boarding employees takes more than just a conversation with HR. There are dozens of tasks to do before during, and after, that require both time and budget. 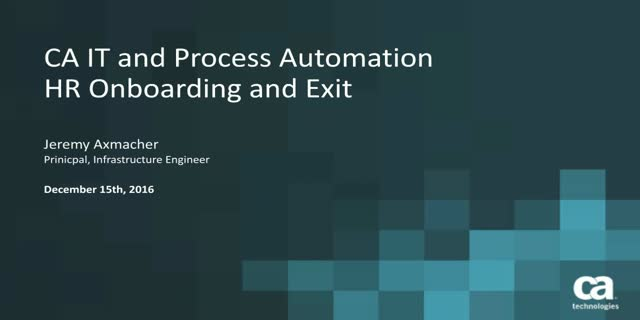 Join this webinar with CA Technologies’ internal IT team, as they discuss how they use CA Process Automation to automate their own on-boarding and off-boarding processes, remove manual errors, and speed up the delivery of services.